Experience The Tradition - From the moment you walk across our Jerusalem-stone courtyard with cascading flowers, you will experience the customs enjoyed for centuries by the Haredi and Orthodox communities. We provide FREE Wi-Fi access throughout the hotel. As our forefathers passed down from generation-to-generation many traditions, we at Prima Palace now share them with you. As you enter the lobby of Prima Palace Hotel Jerusalem our staff will greet you with warmth and hospitality. 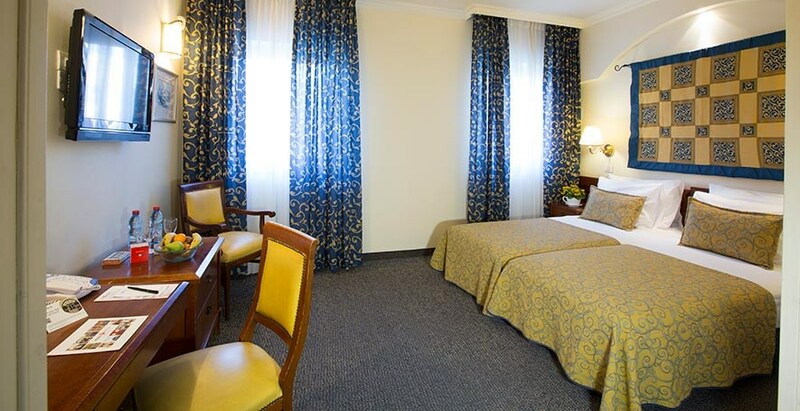 Once inside, our majestically designed 76-room Jerusalem hotel will dazzle you with its royal blues and yellows, set against classic designs, the ornate “negel vassers” (ritual hand washing urns) and gold accents. 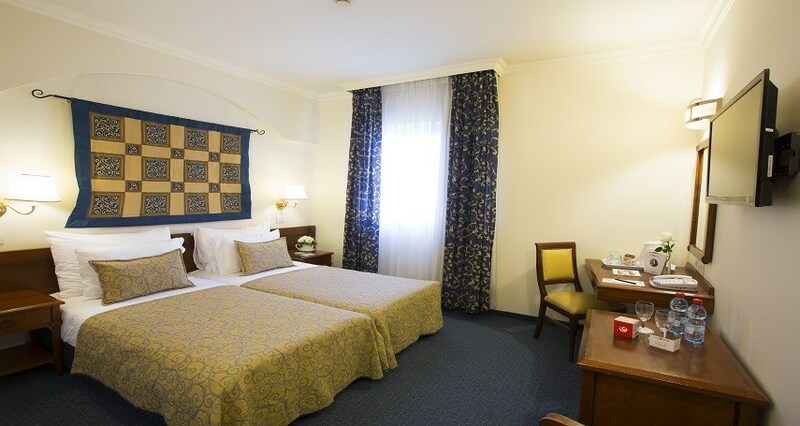 Our Hotel is also perfectly located a few minutes’ walk from the Old City, Geula and Mea Shearim neighborhoods, yet tucked away from the City clamor. 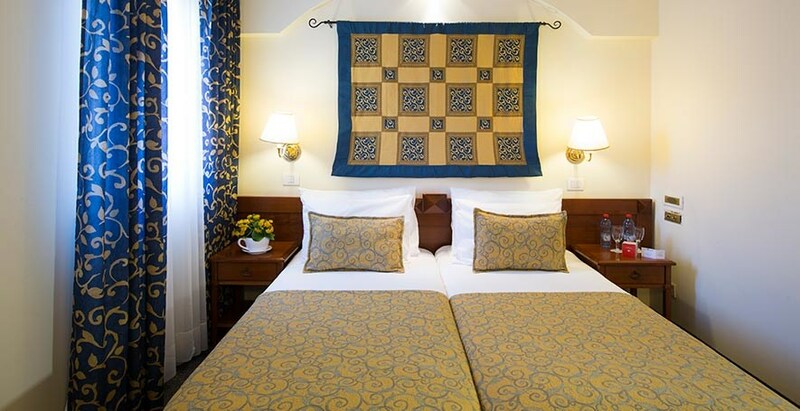 Prima Palace Hotel Jerusalem offers two charming dining halls; one catering to dairy meals, the other to meat. In the spirit of tradition, our Jerusalem hotel offers an elegant banquet hall to host even large, diverse events. Come on in and enjoy a unique travel experience at our Jerusalem hotel. Cancellation Up To 72 Hours Prior To The Arrival Date Will Not Be Charged A Cancellation Fee. Cancellation Less Than 72 Hours Prior To The Arrival Date And Up To The Arrival Date Will Be Charged The Price Of The First Night. Cancellation Up To A Week Prior To The Arrival Date Will Not Be Charged A Cancellation Fee. Cancellation Less Than A Week Prior To The Arrival Date And Up To The Arrival Date Will Be Charged A Two (2) Night's Cancellation Fee. Standard Room Well-appointed standard rooms, designed for singles, couples or two adults with one child. The room is size is 16 sq.m. 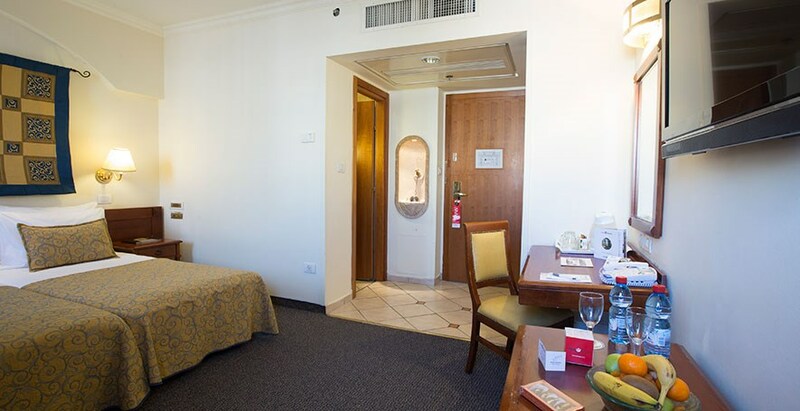 Rooms include: Netilat Yadaim sinks, Courtesy Tea & Coffee making facilities in room, Mini refrigerator in room, Multichannel TV, Safe deposit box, free wireless internet in public areas & in rooms.